MUNICH – March 15, 2019 – TCL Communication won two iF DESIGN AWARDS for Smartphone Product Design this evening for its BlackBerry KEY2 and BlackBerry KEY2 LE at the iF Design Award Night 2019. The preeminent design prize has been awarded for 66 years by the world’s oldest independent design organization, the Hannover-based iF International Forum Design GmbH. BlackBerry KEY2 and BlackBerry KEY2 LE were among 6,375 entries from 52 countries competing to receive the iF DESIGN AWARD’s seal of quality, winning over the 67-member jury of independent experts from around the world for their distinct smartphone design and unique combination of form and functionality. More information about BlackBerry KEY 2 and BlackBerry KEY 2 LE is available on iF WORLD DESIGN GUIDE. TCL communication announced a RED Edition to KEY2 last month at Mobile World Congress. Featuring the iconic BlackBerry physical keyboard and loaded with BlackBerry Limited’s best security and privacy enhancements, this reimagined BlackBerry smartphone variant builds on BlackBerry KEY2’s iconic features with an exciting new design for premium precision and performance. This newest addition to TCL’s range of BlackBerry-branded smartphones comes in a deep red Series 7 Aluminum frame accented by black textured backing and keys, for one of the most distinctive smartphone aesthetics available today. BlackBerry KEY2 Red Edition will be available in select markets across North America, Europe, the Middle East and Asia starting at £699/$749/€779 and will also include a special-edition set of red BlackBerry-branded earbuds. Starting today, the BlackBerry KEY2 Red Edition is available for pre-order across Europe on the official BlackBerry Mobile online store. TCL Communication Technology Holdings Limited (TCL Communication) designs, manufactures and markets an expanding portfolio of mobile devices and services worldwide through a comprehensive, multi-brand portfolio that includes TCL, Alcatel and BlackBerry branded products. Additionally, TCL Communication is the brand owner, R&D developer and manufacturing partner of Palm-branded devices. The company’s products are sold in more than 160 countries throughout North America, Latin America, Europe, the Middle East, Africa and Asia Pacific. Incorporated in Hong Kong, TCL Communication operates its own manufacturing in China as well as global R&D centers. 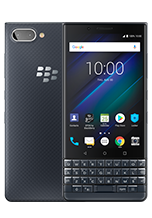 BARCELONA – February 24, 2019 – The BlackBerry® KEY2 smartphone was recently named a winner of this year’s iF DESIGN AWARD, a world-renowned design prize, and now TCL Communication is unveiling an all-new version of the award-winning BlackBerry KEY2 at Mobile World Congress 2019 with the introduction of the exclusive BlackBerry KEY2 Red Edition. Featuring the iconic BlackBerry physical keyboard and loaded with BlackBerry Limited’s best security and privacy enhancements, this refreshed BlackBerry-branded smartphone variant builds on BlackBerry KEY2’s iconic features with an exciting new design inspired by premium precision and performance. This newest addition to TCL’s range of BlackBerry-branded smartphones comes in a deep red Series 7 Aluminum frame, with black accents covering the textured back and the keys, helping create one of the most unique smartphones available today. The all-new, beautifully crafted BlackBerry KEY2 Red Edition is powered by Android™ and includes support for popular features like Google™ Lens and Google Pay™, and comes with the recently introduced Google™ Assistant profile in the Convenience Key. With the Google Assistant profile in the Convenience Key, it’s now easier than ever to manage tasks, plan your day, make a phone call, send a message or control your home IoT devices. It also features a dual rear camera and the popular Speed Key, while packing some extra performance with 6GB of memory and 128GB of storage. The limited Red Edition will also launch with a Hub+ software refresh which includes a new Action bar added to the bottom of the Hub+ applications – improving ergonomics by giving users quick access to primary features like search, sort, and compose. The essential productivity suite has also received a UX update giving both BlackBerry® Hub and the BlackBerry® Calendar a more modern and stylized look. BlackBerry KEY2 Red Edition will be available in select markets across North America, Europe, Middle East and Asia starting at £699/$749/€779, and will also include a special edition set of red BlackBerry-branded earbuds. Also, starting today the BlackBerry KEY2 Red Edition is available for pre-order across Europe on the official BlackBerry Mobile online store. To see all the latest mobile devices from TCL Communication – including the BlackBerry KEY2 Red Edition – during Mobile World Congress 2019, please visit our booth at the Fira Gran Via, Hall 3, Stand 3D11. 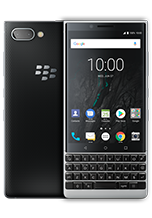 For more information on the BlackBerry KEY2 Red Edition and the other BlackBerry-branded smartphones from TCL Communication, please visit www.BlackBerryMobile.com. 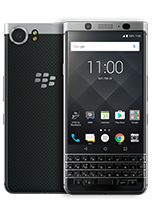 LAS VEGAS – January 8, 2019 – In the coming weeks, Verizon Enterprise and Small Business customers will be able to purchase the productivity-ready BlackBerry KEY2 LE. With its purposeful design built for the modern communicator, the Slate variant of KEY2 LE will offer Dual-SIM support, 4GB of memory, and 64GB of internal storage. It also comes with the innovative Speed Key for a more customized universal shortcut experience and includes support for popular features like the Google™ Assistant, Google™ Lens and Google Pay™. Now you can take personal control of your smartphone privacy with features like Locker that allow you to manage what information is shared in the cloud, like your photos and documents. Locker provides a personal space on the device where you can store apps you want to keep private along with sensitive documents and photos. Firefox Focus™, the privacy browser by Mozilla®, is also included so you can avoid trackers and automatically delete your browsing session when the app is closed. 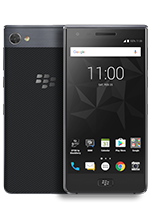 The BlackBerry KEY2 LE also includes the refreshed DTEK™ by BlackBerry application that brings new scanning features for proactive security checks to easily identify and mitigate potential security risks, such as unwanted data access by a downloaded application on your smartphone. And a commitment to monthly Android™ security updates means you’ll always be protected from the latest threats. With the BlackBerry KEY2 LE, you have all the features you need to manage your work, travel, and personal life on the go. This includes support for dual personal accounts and business ready software that makes it easier to manage all aspects of your life. Dual account management is built in to enable you to separately manage both personal and professional social media profiles on apps like Facebook® and Instagram™, and on the dual SIM variant of the BlackBerry KEY2 LE, you can also have dual WhatsApp® and other accounts that require unique numbers. It also comes loaded with BlackBerry® Hub which brings all your messages into one consolidated place – including emails, texts and messages from almost any social media account, including WhatsApp®. Powered by a Qualcomm® Snapdragon™ processor and an efficient battery that offers up to 22 hours of mixed use, BlackBerry KEY2 LE can get you through the busiest of days and often into the next day. In addition, it features Qualcomm Quick Charge® 3.0, enabling up to a 50 percent charge in about 36 minutes – enough power to get you through a normal work day. It also comes with a Boost mode charging and contextual battery reminder which will learn from your daily charging habits and calendar appointments to recommend when to charge so you have the battery power you need when you need it most.